Back from down under and still not sure whether it is night or day. Unlike China, this was a glorious trip. We drank the water, ate the seafood and never got sick. I just wish our continents were closer together! 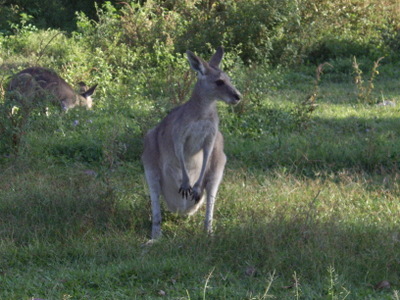 I saw Kangaroos, Dingos, Camels?, Kookaberras, and tunnel spiders. Did you know Australia has more sepcies of deadly creatures than anywhere else on the planet except New York ?